I’m not in MI but this morning my head is. 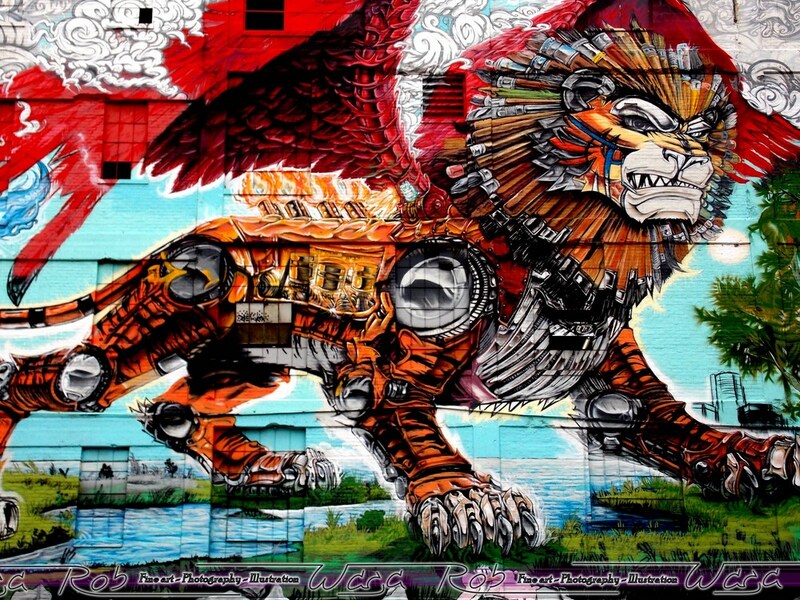 Image | This entry was posted in Photography and tagged art, Detroit, graffiti, Lions, MI, Pistons, Red Wings, Russell Industrial Center, Tigers. Bookmark the permalink. Wow!! Reminds me of the foyer of the DIA with the Rivera(?) mural. The tire joints are awesome…first thing to jump out at me yet they’re integrated. The paint brushes remind me of your Afro look years ago with creative tools to frame the mind. The wings make me think of your literal flights across the world into different cultures. Your lean, strong, confident tiger spanning the Detroit river with only lightly sketched buildings screams power, adventure, challenge, and opportunity. Rob I love it!! You honor Detroit and yourself. Awesome! !